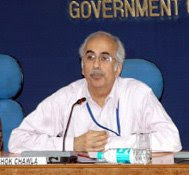 H S Brahma assumed charge as power secretary on Tuesday. He was earlier special secretary, of National Disaster Management Authority in the ministry of home affairs. Brahma is the Andhra Pradesh cadre officer of the 1975 batch of the Indian Administrative Service.